SCHS takes a holistic approach to the needs of clients and the community with an emphasis on continuous quality improvement and excellence in service delivery based on the principles of collaborative primary care. 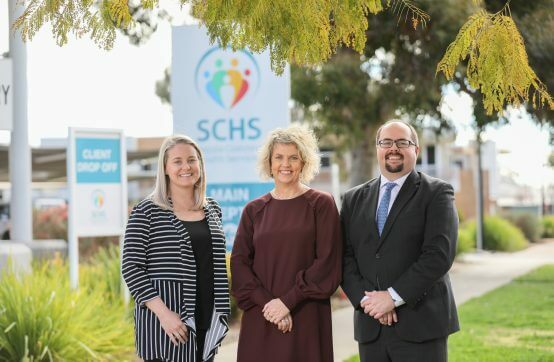 Sunraysia Community Health Services (SCHS) is a private provider of publicly funded health services, with its base in Mildura, Victoria, approximately 550 kilometers north-west of Melbourne. SCHS is overseen by a board of directors. The board’s role is to manage SCHS by providing a governing approach and offering advise. Our experienced leadership team work together to achieve common goals that are in line with the vision of SCHS. Our Vision is promoting health and well-being. Our Mission is provide coordinated, safe and effective person-centred care.